This is our 20th Quarterly Property Market Report. As requested, we have kept it brief and specifically relevant to the locations where we are aware our readers have interests in properties. The market in individual Municipalities and Areas – Reports from agents and valuers. San Roque (Sotogrande, etc) and country area nearby. The number of resale venders is increasing. Many are senior and perhaps they have accepted that they will sell, even if the market is not the most buoyant, because their circumstances require them to do so. There are indications that the Spanish buyers are coming back, but principally at the lower end of the market. There is some new build and when added to the existing resale properties, the demand will have to increase for them all to be occupied. There must be danger of a bubble. There are few Gibraltar buyers or sellers, with them waiting to see how Brexit will turn out. A recent sale of an apartment saw a drop of 7.4% between asking and actual sale price, which is standard now. 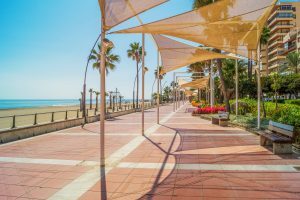 The infrastructure of the area is getting better all the time and the development of the hospital in Estepona should be another improvement for the area. They see Sabinillas/Manilva as Estepona 10-12 years ago and consider that it will continue to grow. Sabinillas has improved greatly in the last 3 years, with new developments and especially older shell developments being completed. However, the price for new are all well above the current resale market and it will be interesting to see what happens in 2020 when most are predicted to be completed. The resale market is strong and increasing. More are buying or renting to live and work in the area, perhaps in Gibraltar, but also from home. Buyers are Belgian, Nordic and German. There is good French interest, but principally in renting. The Brits, both sellers and buyers, are hesitant, waiting to see what happens with Brexit and exchange rates. sterling. Another reason could be that it was too good weather in the summer in Northern Europe, which has made many at least delay thoughts of a home in the sun. Perhaps they are considering it will be a permanent change due to global warming. The sterling changes due to Brexit and gambling on what will happen if Brexit does happen (which the agent had doubts about) have led some British to rush to sell. Generally optimistic for the future. New build will slow as land sellers are becoming greedy and with the increasing building costs and shortages of skilled labour, prices will have to rise, which the market cannot justify. In the higher value properties, they have had a good year and there is little sign of that stopping. There is good demand from local and international developers. There is little additional hesitation by the Belgian and Scandinavian buyers, but the Brits are undoubtedly waiting to see what’s going to happen with Brexit. The urban planning situation in Marbella is improving, with the Ayuntamiento making speedier decisions, which will assist development. Many Scandinavians buying for second homes and many Brits selling. There is little Spanish activity. Costa del Sol East and ‘Inland Spain’. The market has been better than last year with New Build demand being strong. Values are increasing step by step as they see the market growing. The British are hesitant, both regarding purchase and sale. Strong buying from Nordic countries, as is the Flemish Belgian demand. As the Spanish banks are beginning to lend more, though demanding a large % as deposit, there is an increase in interest from Spanish buyers. Interestingly, the agent pointed out that demand tended to be seasonal, in that inland properties were of interest in the cooler months, with the coastal ones being more in demand during the hot months, as visiting inland between 13:00 and 18:00 in the day was just too unpleasant. The yearly statistics of a Spanish ‘tasador’, shows that the number of sales in the area have increased significantly, as have their valuations. 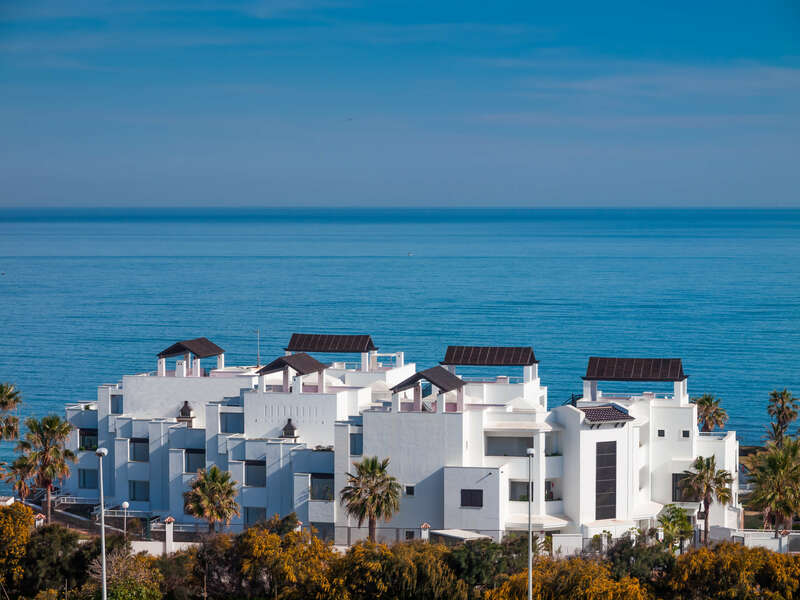 The first new development at Mojácar (Almería) for many years, has been started and though the prices are high, they are in line with predictions for the completion date, if values continue to increase. 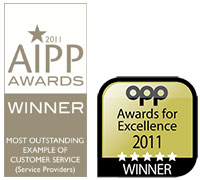 A reduction in instructions has been noted, both direct and from solicitors. Some former clients have been trying to get Irish Passports, whilst others are waiting for the final Brexit agreement, before deciding, especially concerned at the exchange rate. Buyers are definitely on hold, especially pensioners, to see what happens. I have few EU clients. The feeling is that they are not considering the consequences of Brexit, other than benefitting from UK owners selling to return to UK and the lack of competition for properties. Agents report that after the encouraging market at the beginning of the year, 2018 has not seen the improvement expected. Whilst the number of enquiries and viewings remain high, purchasers are not following through with offers. Anecdotally, purchasers of all nationalities are concerned about the economic outlook (both as a result of Brexit and internationally) and are delaying making large financial commitments. Conversely, the possibility of a no deal Brexit has ‘panicked’ some UK buyers into making fast purchases, in case the buying process becomes more complicated if Brexit terms are not agreed prior to March (and the exchange rate falls significantly). In these cases, desirable properties in good locations at the right price are receiving offers close to the asking price. Agents are not expecting the market to improve in the first quarter of 2019, with continuing uncertainty over Brexit and international economists pessimistic over the prospects for the future. Pre-Christmas business was good, but not spectacular. It’s seasonally quiet at the moment, but with more professional work than usual. My understanding is the Balearic property market is fairly quiet, with Brits holding firm for now. I understand from the “Ultima Hora”, Italians have bought more property than the Brits in 2018, with a lot of purchases occurring in Formentera and Ibiza. Germans remain the principal purchasers. The Swedish seem to have fallen back too. 2019? I am not holding my breath. Brexit or no-Brexit, it’s going to be catastrophic in the short/mid-term for business, but once through the other side, I anticipate a big lift, whenever that will be! Evidence of new developments are everywhere. Mostly upmarket new built apartments. I don’t see many selling though. BUILDING SURVEY IS AN INVESTMENT, SAVING MONEY AND NOT A COST – We have noted an increasing number of hesitant enquiries, where buyers have had a building survey carried out, but either don’t understand it as the Report is in Spanish, or have lost faith in the architect/surveyor due to the brevity of the report or apparent lack of independence from the seller or selling agent. It is gratifying that they realise the integrity of Survey Spain as RICS Chartered Surveyors, but somewhat frustrating that they didn’t come to us first. The fee for a pre-acquisition building survey must be looked upon as an investment and not a cost. With a thorough and reliable report, a buyer has something factual enabling them to negotiate a reduction in the price of the property to cover the costs of repairing the defects found. The savings will always be many times the cost of the Report. In the worst cases, the buyer can accept that the property is not a good purchase and, with the report as evidence, walk away with any deposit paid being returned. Alternatively, in some cases, the survey can show that points of concern are not nearly as significant as the buyer feared, enabling them to purchase with confidence. NEW BUILD v. RESALE – New builds are often looked upon as ‘safe’ purchases, but we have found in the increasing number of ‘snagging’ surveys that we are carrying out, that they all have defects, even as important as substantially smaller floor areas from those stated in the marketing material. For that reason, it’s not always wise to depend upon the selling agent to carry out the snagging inspection. In addition, the inspection may have taken place before permanent water and electricity were connected, which means that these items and the equipment that depends upon them, have not been tested. Yup, they are all at it, selling their portfolios of bad mortgages and property-based loans. It’s large funds, many American, that are buying, and they have their money from pension and insurance funds and the like. The banks are also grouping credit card and other personal bad debts and selling those as packages. Makes the Banks’ debt books look good, but increases pressures on debtors as the buyers want a profit. Also, if there is another crash, it’s the funds that have invested in these that will suffer, start foreclosures with a vengeance, sell off at whatever price to get something and spiral the market down as before. But this time, the Governments will not have the funds to come in and rescue them, so could be a collapse of many peoples’ income. I foresee the British buyers dropping substantially, principally due to the drop in value of the GBP. That and sale by Brits who can’t afford to live in the euro any more. However, the leaving of UK opens a huge hole in the EU budget, so that’s going to unsettle things all round. We need to be looking at other nationalities too, such as Nordic and other countries where they are used to the buyer being provided with accurate info by the seller. We must push ourselves as the people who can provide that info.